Every wedding I shoot is incredibly special to me. Being selected by a couple and trusted by them to document such an important day in their lives is such an honor. Rebecca and Mike’s wedding was also special in an additional way because Rebecca is my sister-in-law. I’m so happy to have been there to capture the beautiful moments of their day. Their connection is evident, and their love made my job easy! Of course photographing a family member’s wedding is not without it’s challenges- like being without my second shooter husband because he was on groomsmen duty. 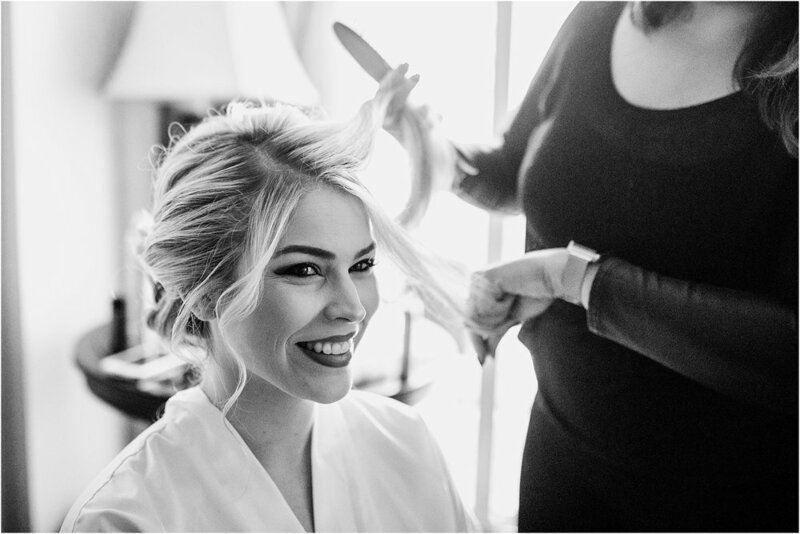 Or prepping to shoot the day while simultaneously prepping my four little ones to be in the wedding (they made for three adorable ring bearers and one cute flower girl!) But those things made it even more special, and it really was a wonderful day. 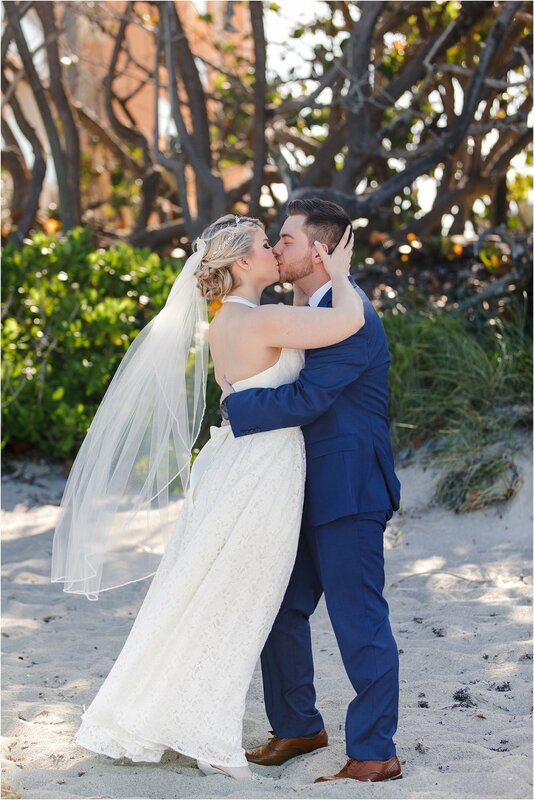 It started at Jupiter Beach Resort, where the bride and groom got ready. They then met at the beach downstairs for their first look. It was such an emotional moment, with tears and laughter. Their bridal party (20 people!) 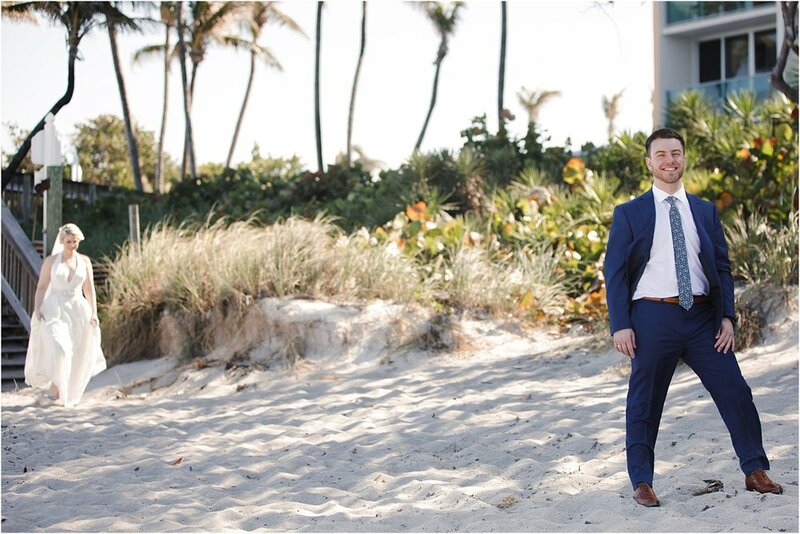 met them at the beach for a few pictures, and then we all headed to the Jupiter Civic Center for the ceremony. The weather was perfect for May (May the 4th- Star Wars day!) They exchanged vows and it was beautiful! We then took some portraits down by the water before heading upstairs to party. I love that they were up for climbing over the water and out onto the rocks for their portraits. It was then reception time, where the night was wonderfully filled with family, friends, loving speeches, great food and lots of dancing. Congratulations Rebecca and Mike. We are so happy for you! Our love and best wishes always!